Spiritual communities are a place where people live together in the spirit of cooperation and friendship, dedicated toward a common goal. They invite spirituality into all areas of daily life, whether at school, work, or in the home. And at the core of spiritual living are central spiritual practices like yoga and meditation, as well as dedication to high-minded values such as kindness, respect, and simple living. You can visit us and experience spiritual community for yourself. Cooperative communities are a highly practical solution for everyone seeking true meaning in life. I say this from many years of experience, and after observing countless educated, intelligent, aware individuals in the conduct of their lives. With this ideal, I do indeed see hope — I say this with conviction — a better, happier, more peaceful world! Yogananda taught that what the world needs is a blend of the best qualities of the East and West: the spiritual insight of the East and the practical efficiency of the West. One without the other leads to a society barren of human fulfillment, but a balance of the two can bring peace, harmony, prosperity, and happiness. Yogananda often predicted that world brotherhood colonies, based on the twin principles of “plain living and high thinking,” would be the social pattern for the future. Kriyananda vowed to do his utmost to make this dream a reality. In 1969, Swami Kriyananda began the fulfillment of Yogananda’s vision with the establishment of Ananda Village. 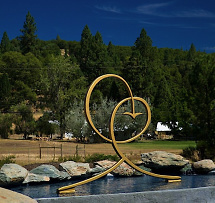 Ananda Village is situated on 900 acres amidst the foothills of the Sierra Nevada Mountains in northern California. Today, over 200 people reside here, including adults and children of all ages. 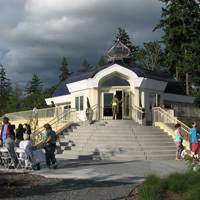 Ananda Village is also the headquarters for Ananda Sangha Worldwide and home to The Expanding Light retreat center. 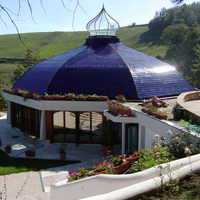 The Ananda Meditation Retreat, is located about 5 miles away. 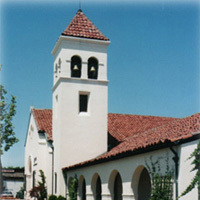 Ananda Sacramento was established in 1977. It was the first community to be started after Ananda Village. Although the location moved several times, it is now it is a thriving urban community with a 48 unit apartment complex and a separate teaching center. The Ananda Palo Alto community is located in an apartment complex in Mountain View, California. Nayaswamis Asha and David run the community along with a team of long-time devotees and meditators. Nayaswami Asha also travels extensively giving workshops and retreats all over the world. Ananda Palo Alto’s teaching center is one of the oldest and largest centers for meditation in the Bay Area, and has trained thousands of students over the past 40 years. They offer classes year round and hold weekly Sunday Services. about ten minutes from the Temple and Teaching Center in Beaverton, Oregon. The community is a fifty unit apartment complex on five beautiful acres next to a wetlands preserve, shared by residents who aspire to a life centered in spirit. 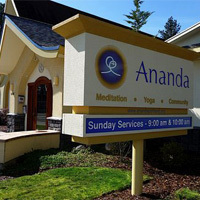 Ananda Seattle consists of an urban community in an apartment complex, teaching center and temple, bookshop, school, and farm. It offers many courses including yoga teacher training and meditation teacher training, as well as Sunday Service. 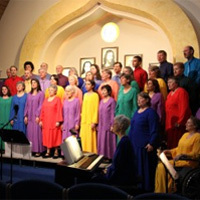 Ananda Europa was founded in Italy in 1983 and has been flourishing at its present location in the beautiful Umbrian hills near Assisi since 1986. There are about eighty residents at Ananda Assisi, some living within the community and others, including families and children, in homes nearby. This Ananda community is also a retreat and offers many programs, including a residential karma yoga program, where guests can live and serve with community residents. 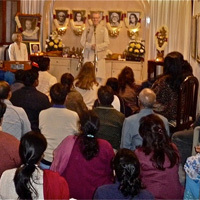 The Ananda Delhi community is in a beautiful home run by spiritual directors Keshava, Daya, and Nayaswami Jaya. They also have a large teaching center with many classrooms and meditation rooms, and hold regular programs and events.